The “partners” listed for the State Department’s GPI include philanthropic foundations, universities, airlines, weapons manufacturers, software companies, Google, Yahoo, soft drink manufacturers, retail giants, entertainment, banks, and oil companies (DoS, 2014, pp. 30-31), the core corporate sectors of the contemporary US economy. Among the US universities working under GPI are, as listed in 2014: University of Kansas, University of Massachusetts Boston, University of Washington, Northwestern University, and the University of California system (DoS, 2014, p. 31). Similarly, USAID, which established its “Global Development Alliance” in 2001 (see USAID, 2007), has worked with various corporations such as Coca-Cola (on water projects in 13 countries) and with Wal-Mart in Brazil. By 2005, USAID claimed to have established more than 400 such alliances, using $1.4 billion of its own funds with a further $4.6 billion from its partners (Stavridis & Farkas, 2012, p. 11). “The effort… has sought to exploit ideological and military allegiances, and also a powerful financial dynamic: Most of the analysts have ties to military contractors vested in the very war policies they are asked to assess on air….Records and interviews show how the Bush administration has used its control over access and information in an effort to transform the analysts into a kind of media Trojan horse—an instrument intended to shape terrorism coverage from inside the major TV and radio networks”. A military retiree turned analyst-lobbyist military would gain access to current inside information in the Pentagon, which would be useful for the private weapons contractors they served, and in return they would sell the administration’s talking points to the public. This is “connected” in the same way a totalitarian system is connected. Information presented to the public was often fabricated, exaggerated or otherwise distorted, to boost public support for the war in Iraq. “A few” of these so-called analysts “expressed regret for participating in what they regarded as an effort to dupe the American public with propaganda dressed as independent military analysis” (Barstow, 2008/4/20). Thousands of records that were made public revealed “a symbiotic relationship where the usual dividing lines between government and journalism have been obliterated”—because the mass media had themselves been enlisted as “force multipliers”: “Internal Pentagon documents repeatedly refer to the military analysts as ‘message force multipliers’ or ‘surrogates’ who could be counted on to deliver administration ‘themes and messages’ to millions of Americans ‘in the form of their own opinions’” (Barstow, 2008/4/20). Barstow, D. (2008/4/20). Message Machine: Behind TV Analysts, Pentagon’s Hidden Hand. The New York Times, April 20, A1. ————— . (2008/11/29). One Man’s Military-Industrial-Media Complex. The New York Times, November 29, A1. ————— . (2011/12/24). Pentagon Finds No Fault in Ties to TV Analysts. The New York Times, December 24, A20. USAID. (2007). Global Development Alliance. Washington, DC: US Agency for International Development. US Department of State (DoS). (2014). State of Global Partnerships Report. Washington, DC: The Secretary’s Office of Global Partnerships, US Department of State. ————— . (2015). The Secretary’s Office of Global Partnerships. Washington, DC: US Department of State. ————— . (2015/3/12). 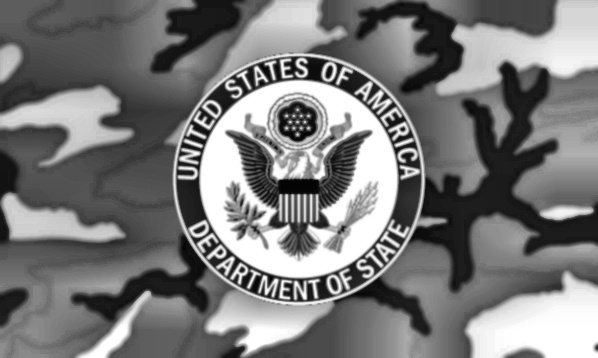 Department of State Releases 2015 State of Global Partnerships Report—Media Note, March 12. Washington, DC: Office of the Spokesperson, US Department of State. Stavridis, J., & Farkas, E.N. (2012). The 21st Century Force Multiplier: Public—Private Collaboration. The Washington Quarterly, 35(2), 7–20.